Prime Minister Joseph Muscat does not see any reason for the government to suspend judicial appointments until a planned review of the system has been carried out. 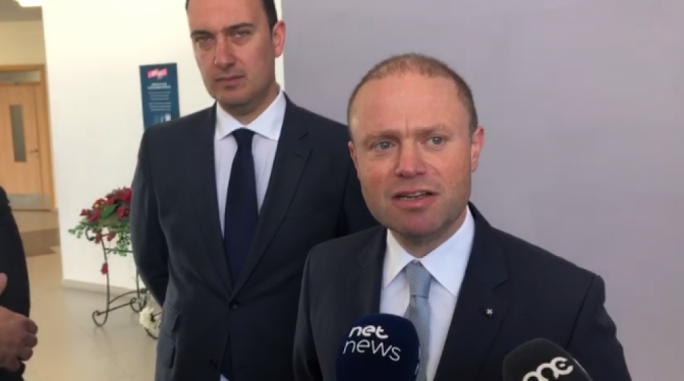 “I believe that all appointments, made by different governments, were appointments which, irrespective of who the person was, were able to be objective,” Muscat said after a visit to St Ignatius Secondary School on Monday. Last week, NGO Repubblika filed a judicial protest asking the courts to intervene and block any further appointments until the system has been reviewed. The NGOs request comes amid speculation about a number of impending appointments to the bench. Six judges and magistrates are expected to reach the age of retirement from the bench by 2021. Last month, Justice Minister Owen Bonnici announced government plans to reform several aspects of the Maltese justice system, including a separation of the Attorney General’s roles as well as a review of the manner in which magistrates and judges are appointed. The move came after a review of Malta’s system by the Council of Europe's Venice Commission acknowledged the new system introduced in 2016 was a step in the right direction, but fell short of ensuring an appropriate level of judicial independence. Bonnici said that the government would be presenting draft Bills in the coming weeks, and would be looking to have them approved by the end of the year.